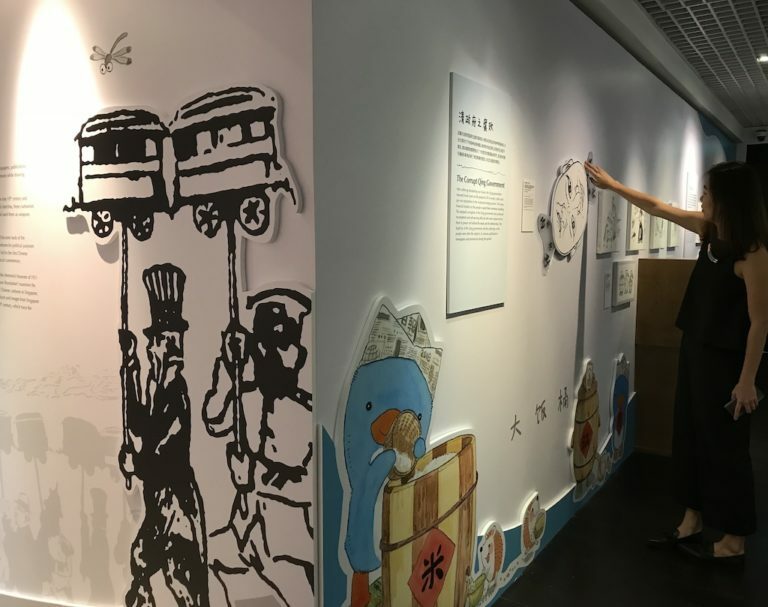 A collaboration between Sun Yat Sen Nanyang Memorial Hall and the Memorial Museum of 1911 Revolution in Guangzhou, Between the Lines – The Chinese Cartoon Revolution examines the links between the 1911 Revolution in China and the emergence of Chinese cartoons in Singapore. Through satirical sketches, early Chinese cartoonists captured a declining China in the late 19th century and used them as weapons against a corrupt regime. Consequently, these cartoons served as agents of political change and became tools of the revolutionary movement to end imperial rule in China. The use of cartoons for political purposes soon spread to Singapore which had a sizable Chinese diaspora and led to the first Chinese cartoons appearing in local newspapers as a form of political and social commentary. This exhibition showcases close to 150 Chinese cartoons, as well as related artefacts and images from Singapore and China, between the late 19th century and the first half of the 20th century to trace the history and development of local Chinese cartoons. Learn more this special exhibition at our public lectures or free guided tours led by our volunteer guides. Copyright © 2019 Tian Dot Com Pte Ltd - All Rights Reserved.